A few months ago, our spy photographers caught an all-electric Mini hardtop prototype testing and not long before that the German automaker struck a deal with China’s Great Wall for Mini EV production to take place in China. In other words, it’s no secret the brand has an EV future in mind, but the question now is whether it’ll be an all-EV one. Automotive News Europe recently spoke with Peter Schwarzenbauer, the BMW board member who has led Mini and Rolls-Royce for the past six years, about Mini’s potential all-electric future. 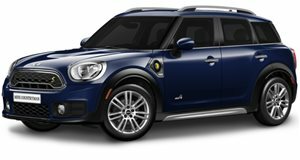 Like Daimler’s Smart brand, will Mini also switch to an all-EV lineup? "To secure the long-term future of Mini, we will enable the range to be all electric, should the customer prefer that,” he said. It appears internal combustion engined models will continue to stick around for the time being, though. Schwarzenbauer is due to retire in October, only a month after Mini’s first all-electric model is slated to debut at the Frankfurt Motor Show, so it’s personally important for him to leave Mini in the best shape possible before he calls it quits. Mini’s capability, if it decides so, to ditch combustion engines in favor of all-electric propulsion will be possible, thanks to Schwarzenbauer. 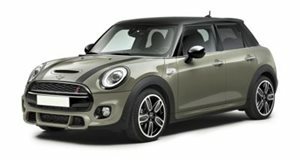 A final decision obviously won’t be made until after the first Mini EV has been on the market for some time. BMW will require customer feedback to make that call. Mini fans will need to make their voices heard.